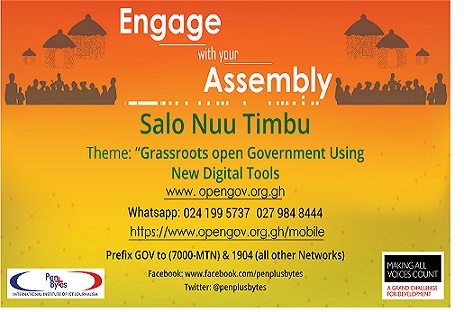 Penplusbytes is engaging governance and anti-corruption experts in a Report Validation Writeshop on Thursday 17th May 2018 at its New Media Hub in Accra. As part of the METOGU! (Keep the pressure up!) Project implementation in four (4) regions of Ghana, the project team conducted Focus Group Discussions and administered an Adapted Community Scorecard and a questionnaire to a cross section of respondents to evaluate the progress made by Government in its fight against corruption particularly with regards to promises made in the governing party’s manifesto and present an avenue for citizens to demand greater accountability and transparency from Government. Out of the exercise, Regional Reports and a National Report were generated out of the data collected from the twelve project districts within the four regions. To validate these reports, Penplusbytes is hosting a day’s report validation writeshop that will seek to gather thoughts from participants on the outcome of the anti-corruption research done and at the same time provide the opportunity to input into the final analysis of the research to influence policies aimed at fighting corruption. Participants are drawn from the Office of the President, opposition parties, district assemblies, anti-corruption agencies and media houses. Penplusbytes with support from STAAC (Strengthening Transparency and Accountability Against Corruption) is implementing the 2-year METOGU! (Keeping the pressure on) project aimed at creating awareness amongst citizens on government interventions to fight corruption and creating pathways for citizens to hold government to account to deliver on their promises. The project is expected to support citizen’s engagement with government and make government accountable to its pledges made during campaign period.